Through black and white photographs, A Mexican Portrait captures moments of Mexican people’s everyday lives in Mexico as well as in the United States. From a small town in Oaxaca, Mexico, to the urban streets of Chicago, USA, the exhibition offers a glimpse into the Mexican spirit in which ancient traditions are weaved into new ways of life. 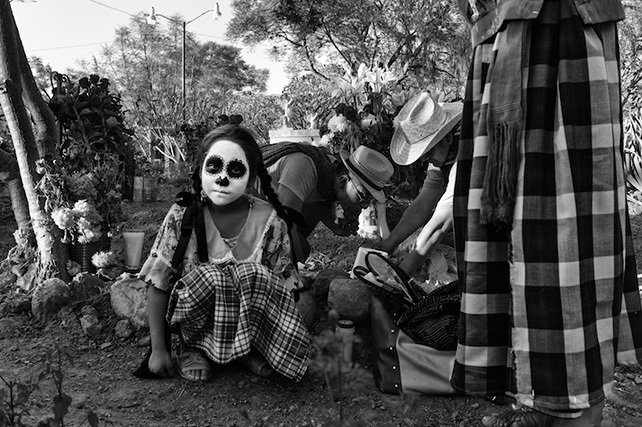 Driessen’s candid photographs have the intention of showcasing what is essentially human and symbolically Mexican. In the images, perfection is actually in the imperfection, and the nuances come forward to highlight the beauty of Mexican happenstance. Martha Gabriela Driessen was born and raised in Mexico City and has lived half her life in the USA. She began her journey in photography working in the darkroom in the early 1980s and studied Journalism and Communications at the University of St. Thomas in St. Paul, Minnesota. Martha travels near and far photographing the simplicity and happenstance of everyday life. She looks for spontaneous, candid moments, life unfolding. Martha lives and works in Minneapolis, and has been influenced and mentored by Magnum photographer Nikos Economopoulos in her work.